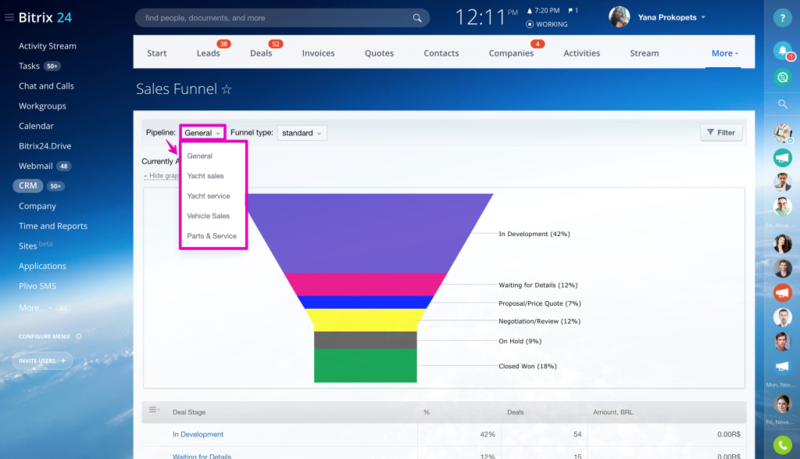 Important: multiple pipelines & sales funnels are available to Bitrix24 Standard or Professional plan subscribers. 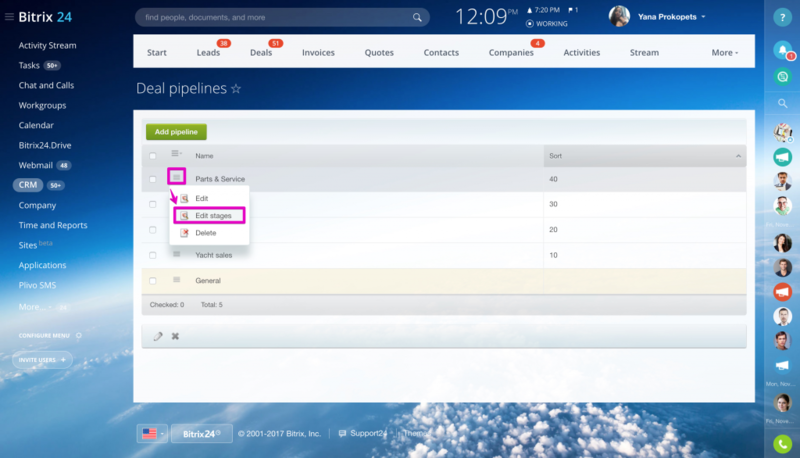 Bitrix24 Standard plan - 10 pipelines, one of them is General (default pipeline), and the other nine are custom pipelines which can be created in CRM Settings. 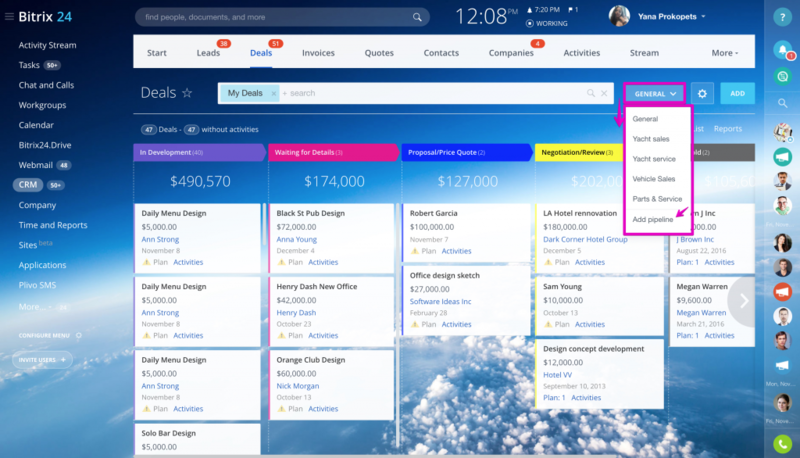 Bitrix24 CRM+ plan - unlimited number of pipelines. Bitrix24 Professional plan - unlimited number of pipelines. You can change sorting number here as well, if necessary. Then click Edit Stages and create new stages. Each pipeline can have different stages (you can customize stages names, order & colors). Important: now, when you create a new deal, you should select which pipeline it should belong to. Please note that you won't be able to change the pipeline connection after the deal has already been created (there is no "pipeline" field in the deal form). To add a new deal, first select pipeline on Deals page & then click on Add tab. By default, all users have General pipeline. 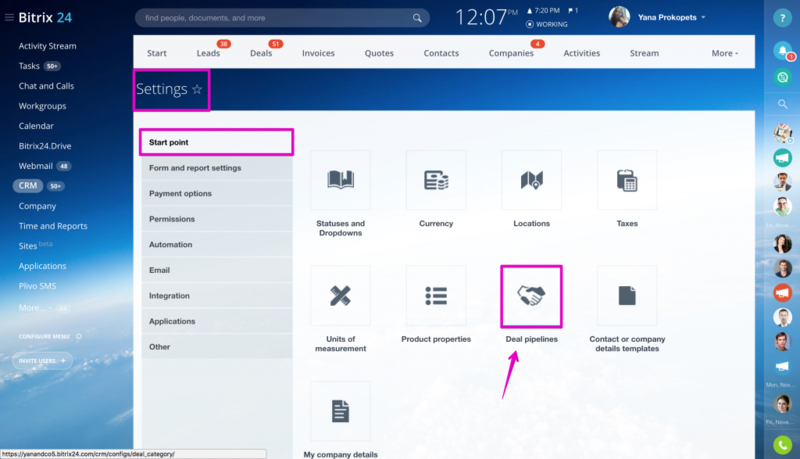 Bitrix24 Standard or Professional plan administrators (or users who have option "user can edit settings" in CRM Settings > Access Permissions enabled) can add custom pipeline inside CRM Settings. 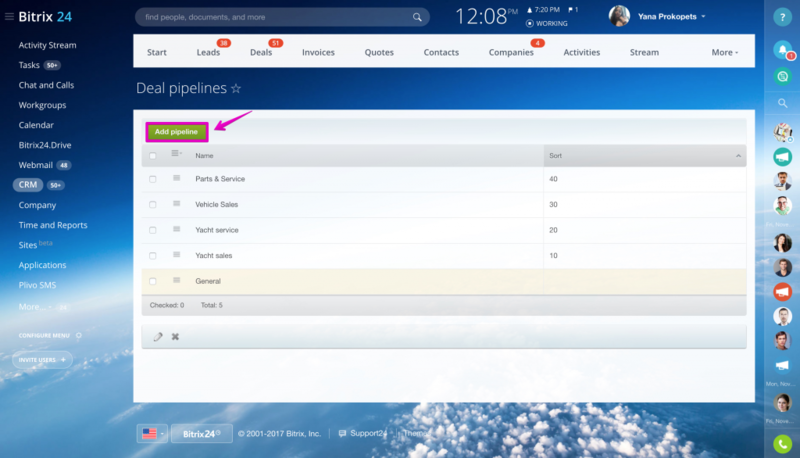 You can customize deal form for each pipeline, for that click add new deal & choose pipeline, configure form & save (or save for all users). 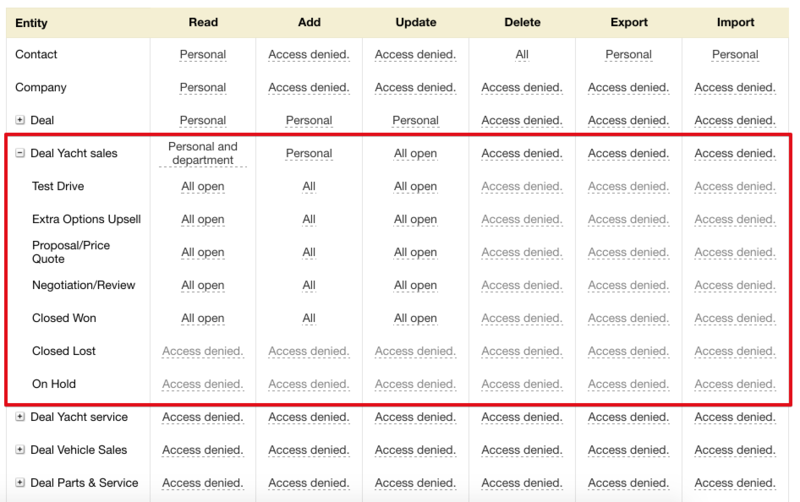 Important: you can configure access permissions for each pipeline in CRM Settings > Access Permissions > Edit Role (access can be configured for different actions such as read, add, update, delete, export, import deal pipeline and it's stages). Read more about Sales funnel in the article - Sales funnel.